Each month we recognize a standout provider who has demonstrated excellence across the board. This March, it’s Jeff B. in Detroit! Full time husband, father, firefighter, owner of Premier Landscaping, and LawnGuru all-star. We’re proud to work with local Pros who are also local heroes! Always on the run, Jeff made time to jump on a call (while en route to a customers property to clear snow) to give us his story dating back 27 years where he got his start in the outdoor service industry. Jeff started his lawn company while in high school and carried it through his college years. What initially started as a summer job with the intent to focus solely on school during the year quickly blossomed into much more. After years of building up his client base, he used his business as a way to put himself through college. He stumbled upon LawnGuru winter of 2016 when our co-founder and his sister went into Jeff’s brother, Brians, Sprint store in Brighton, MI. The mention of LawnGuru peaked Brian’s interest as he and Jeff teamed up on lawn, landscaping and snow projects. Brian rang Jeff immediately to tell him all about the app and discuss how they could integrate it into their current business to add more customers to their route. Fast forward to present and we’re now on our fourth season working with Jeff! With four crews in total, Jeff isn’t always on every job site but he’s on top of what his crews are doing and which properties they’re servicing at all times. He’s very particular about his work ensuring each yard is left in pristine condition. Jeff has serviced over 2,000 properties with LawnGuru and maintains a 4.93 star rating. In this business, sometimes mistakes are inevitable so we’re taking you back 15 years with a story Jeff shared with us. It was one of these mistakes in which Jeff’s crew, when dispatched to a property for mowing, accidentally trimmed the customers plants thinking they were weeds. The plants had been compromised, but it was Jeff’s goal to make sure the customer relationship wasn’t. When Kellie called to formally complain, Jeff made sure he went out to this job himself to ensure absolute satisfaction. Kellie was impressed with his work and professionalism, and what started as irritation quickly transitioned into admiration. Lucky for Jeff, somehow this service call turned into a date. Jeff & Kellie realized they had a lot in common and not only did he earn her business for life, but he earned her hand in marriage too! Jeff says he feels truly blessed. His parents instilled a strong work ethic in him from a young age so though his days are long, he feels grateful going through life with his family by his side. He spends what he loosely calls “free time” with his family. Kellie and their two kids, Karson and Landon, are a motivating factor for Jeff. The four of them spend a lot of weekends at the motocross track. While Karson, 13, is an experienced clarinet player with a love for music; his son Landon, at only 10 years old is incredibly talented on the racetrack. As a family, they go to motocross competitions all over Michigan and use those weekends in the summer to take advantage of the camping opportunity and family bonding the sport allows. Being a firefighter while owning a business definitely requires a skilled effort when it comes to a work-life balance, so if weekend work is necessary, Jeff is sure to meet his family at the track afterward. 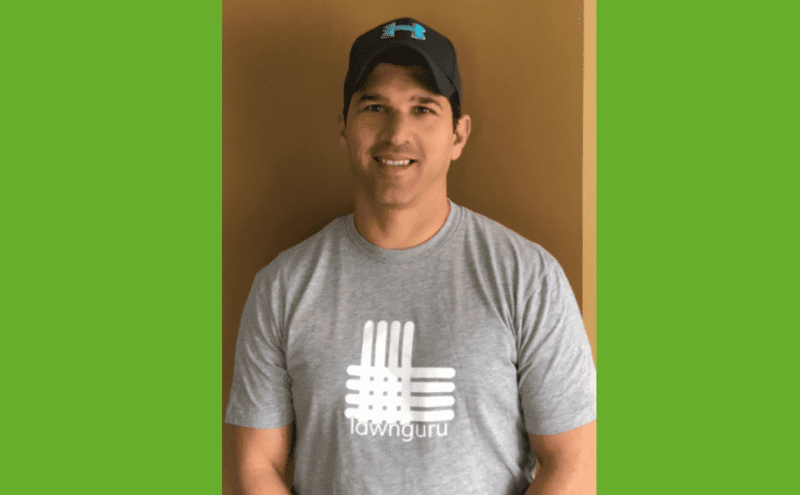 What Jeff loves about LawnGuru is feeling heard and prioritized. With years of experience, word-of-mouth referrals from loyal customers, and the use of LawnGuru, Jeff doesn’t spend high dollars on advertising to maintain a full schedule. Despite having family members across every square mile of Bloomfield, his current customers refer his business to their family & friends all the time and when he’s booked up, he sends them right to the LawnGuru app knowing another quality Pro will be eager for the opportunity. Click here read about the February Provider of the month.